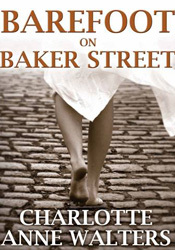 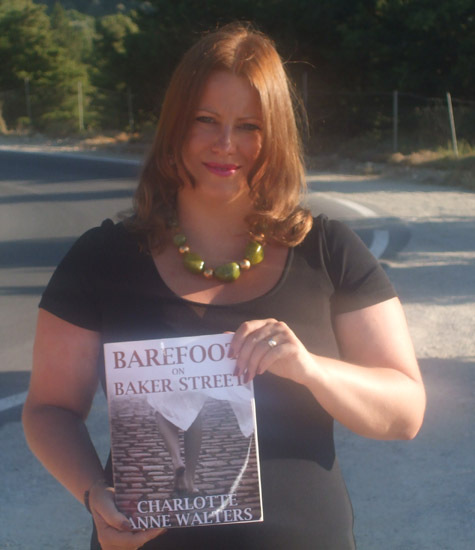 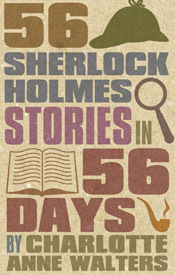 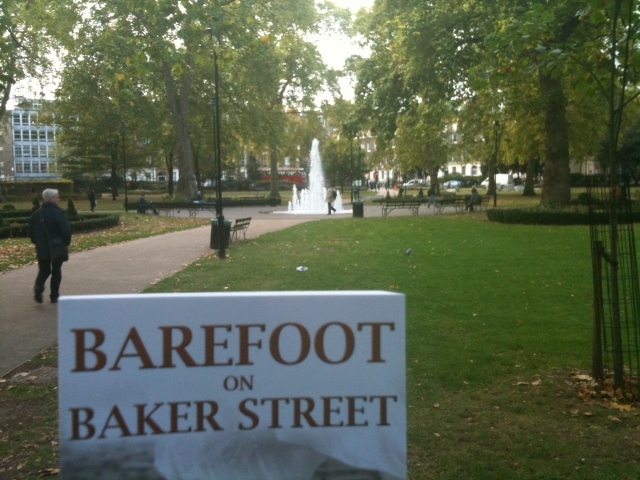 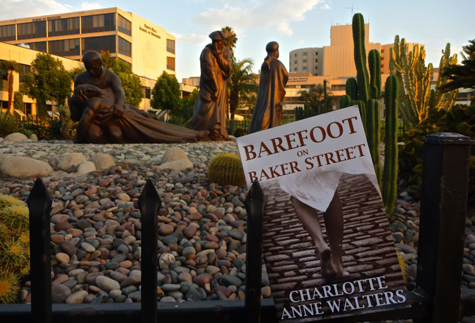 Send us your pictures of Barefoot on Baker Street around the world. 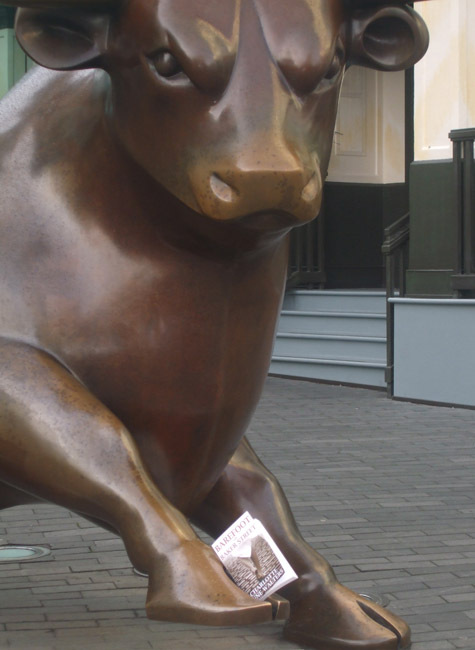 Scroll down to see the ones that you have already sent in. 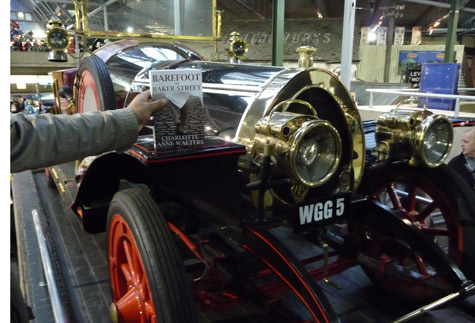 We would love to receive your pictures and any in iconic locations would be fantastic. 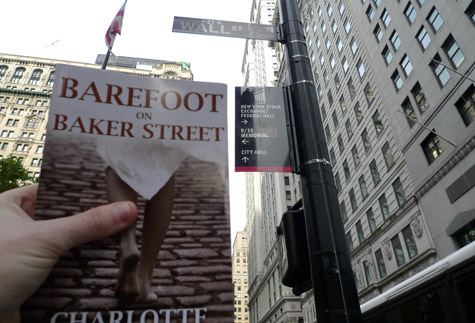 How about a picture of Barefoot on Baker Street actually on Baker Street or at the top of the Eiffel Tower? 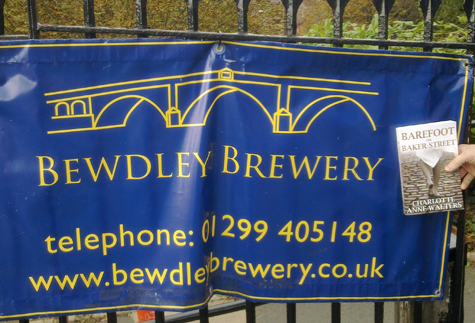 Even a picture in your back garden anywhere in the UK or around the world would be just great. 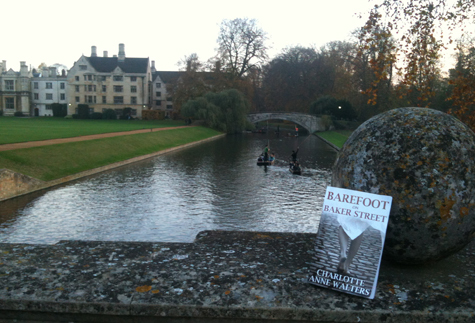 And pictures of Barefoot on your Kindle/iPad or any other format would, of course, be very gratefully received as well. 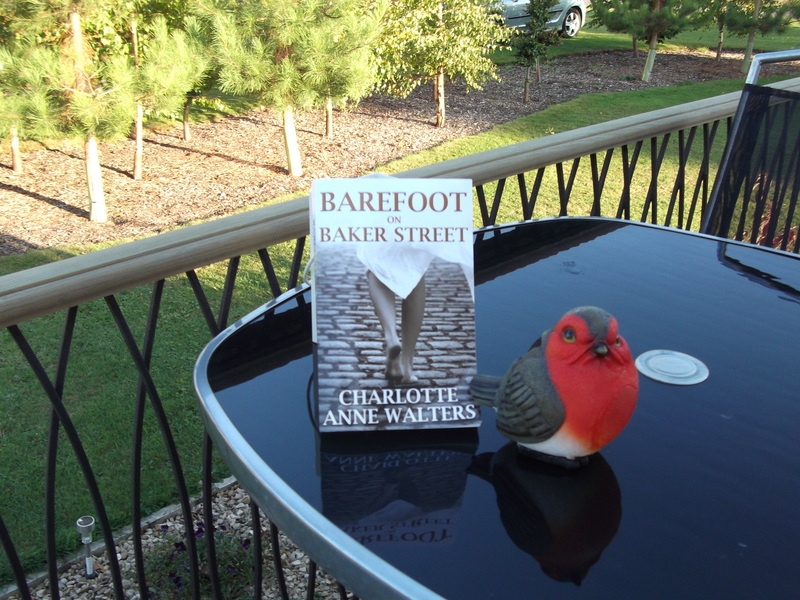 Trixy’s Barefoot must be the most travelled anywhere. 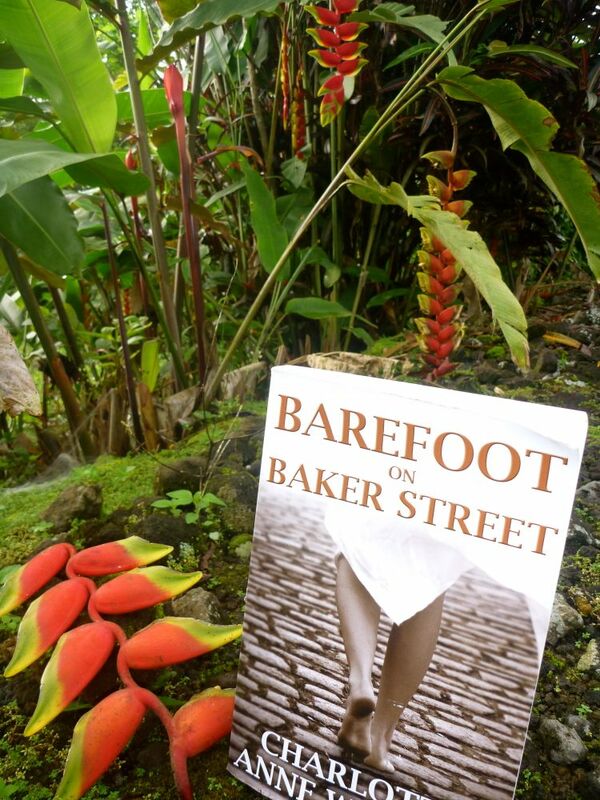 She’s sent us this picture of Barefoot in the jungles of Buea, Cameroon, located on Mount Cameroon. 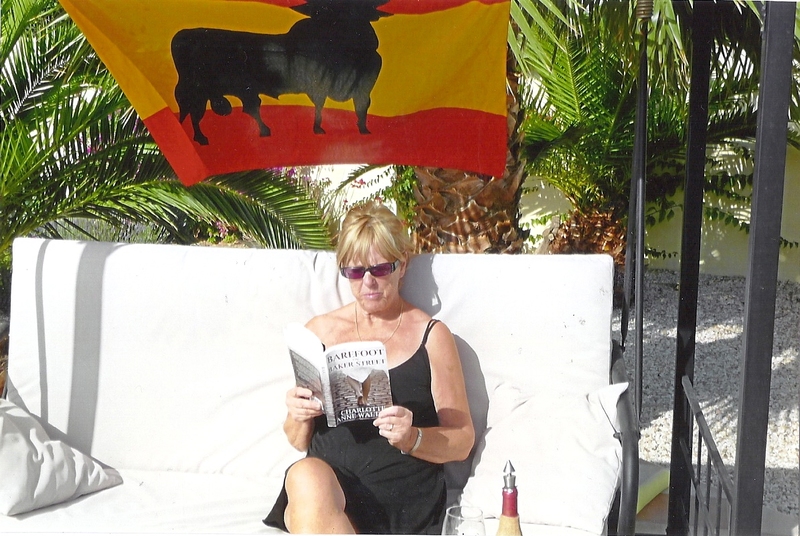 One of Africa’s largest volcanoes at 4,040 metres. 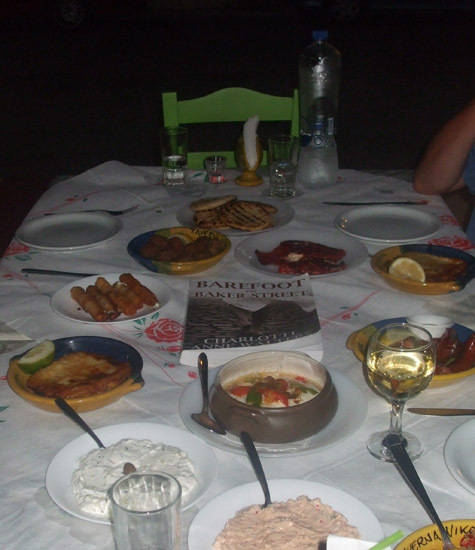 It’s our first picture from that continent. 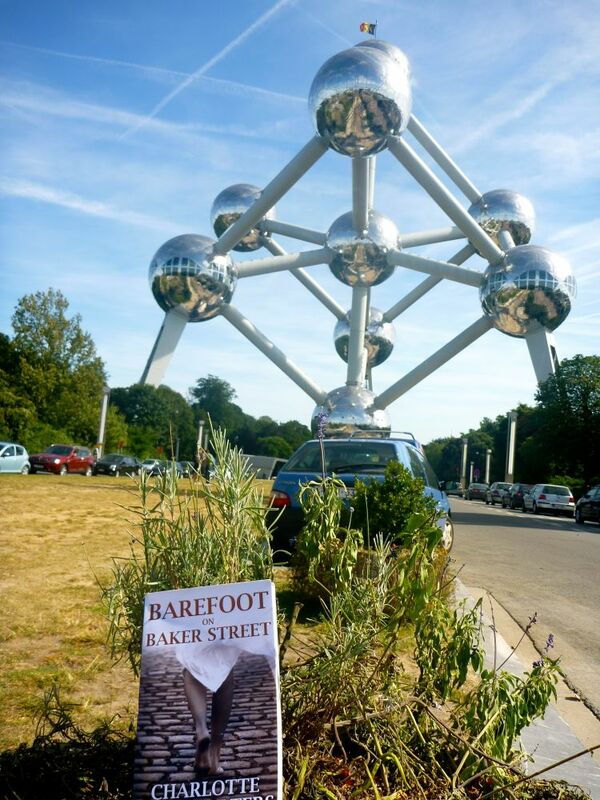 Here’s Barefoot in Brussels, Belgium, at the Atomium. 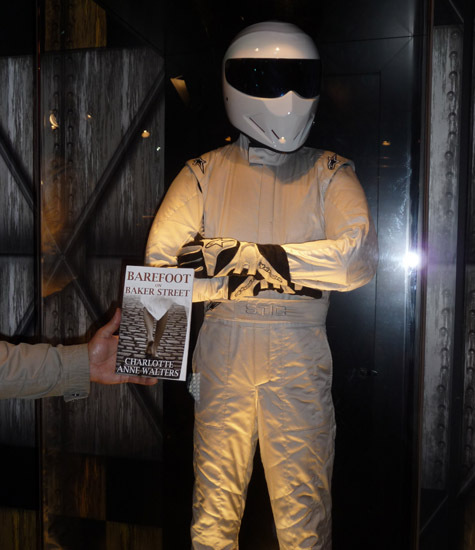 According to Trixy, who sent in the picture, it was built in 1958 for the World’s Fair and based on the structure of the unit cell of an iron crystal. 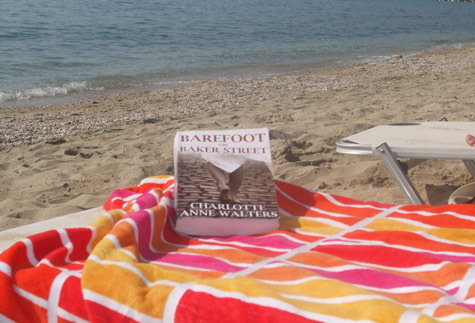 Barefoot enjoying the cooler air in the San Bernardino Mountains at Lake Arrowhead (elevation 5,174 ft). 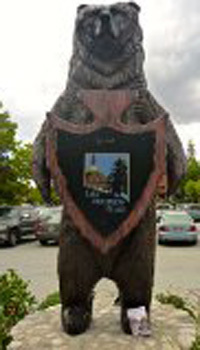 A tourist town often termed the ‘alps’ of Southern California’. 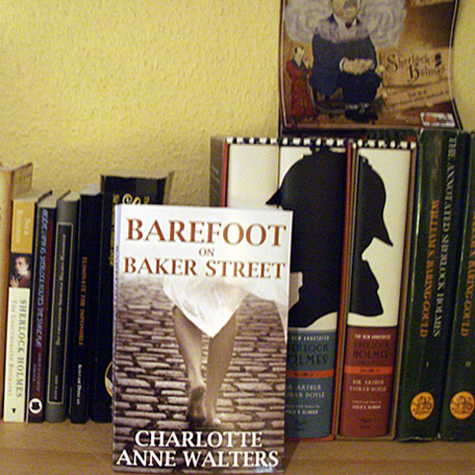 Many thanks to Christina Kerkhoff who sent in this picture from Germany of Barefoot taking his place among the rest of her Sherlockian library. 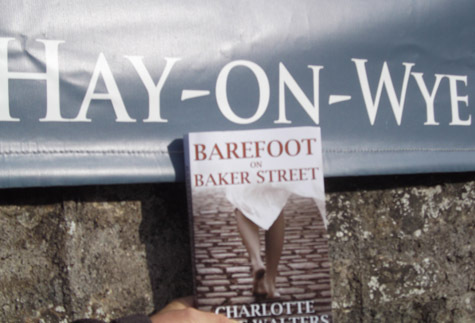 Thanks to Gaz and Jan who sent in this picture of Barefoot visiting the literary capital of Britain – Hay-on-Wye. 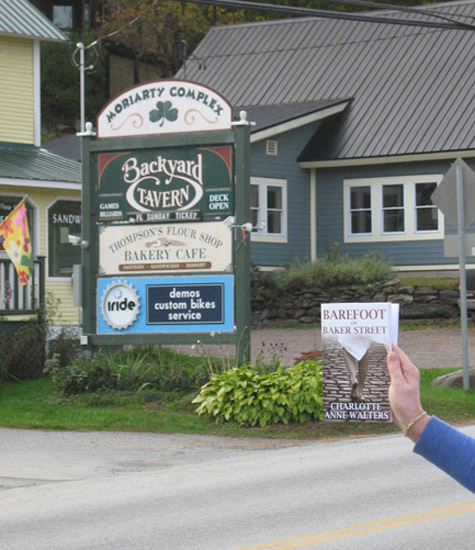 Thanks to John who sent in this picture of Barefoot at Mountain Road in Stowe, Vermont. 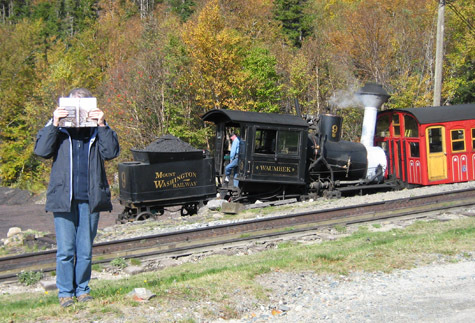 Thanks to Linda who sent in this picture of Barefoot visiting the Mount Washington Cog Railway in New Hampshire. 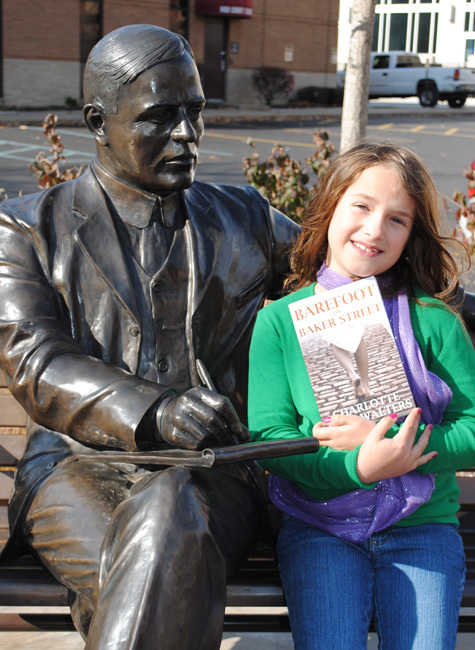 Many thanks to Leah Guinn who sent in this lovely picture of Barefoot, her daughter Katie and the famous statue of Max Ehrmann, a Terre Haute, Indiana native who wrote the famous poem, “Desiderata.” He’s sitting at the corner of US Highway 40 (the National Road), and US 41, or the old “Dixie Highway” (which connects Chicago and Miami, Florida). 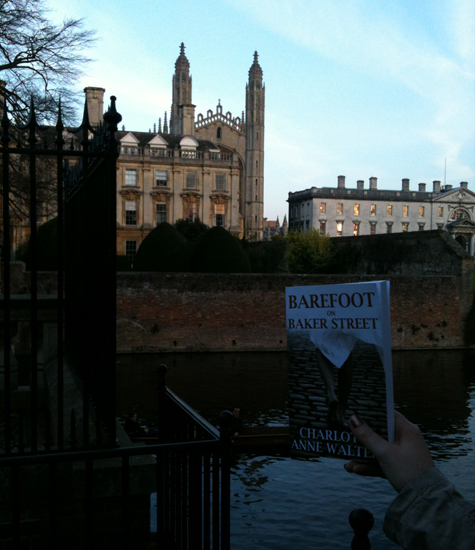 Mr. Ehrmann liked to sit out at this corner to people watch, write and, apparently, read about Sherlock Holmes. 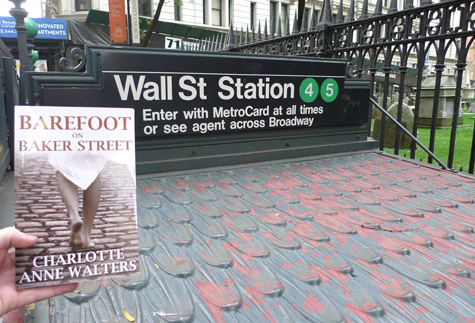 Thanks to Matt Laffey of Always1895.net who sent in this picture of Barefoot paying a visit to the financial capital of the world – Wall Street in New York. 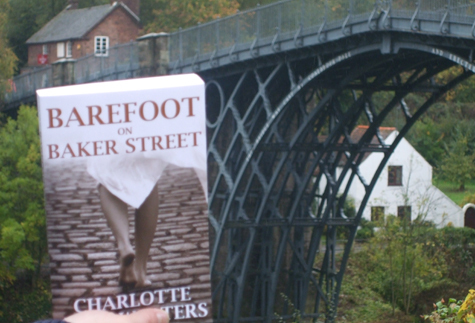 Here’s Barefoot beside the famous iron bridge which gives its name to the town of Ironbridge in Shropshire. 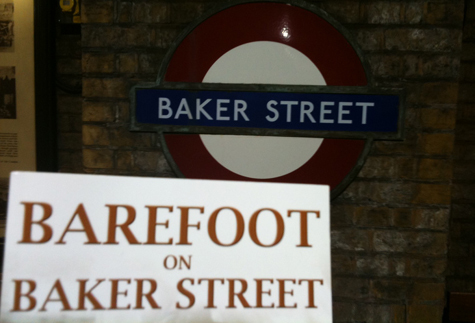 Thanks to Tanya who sent in this picture of Barefoot at Baker Street tube station in London. 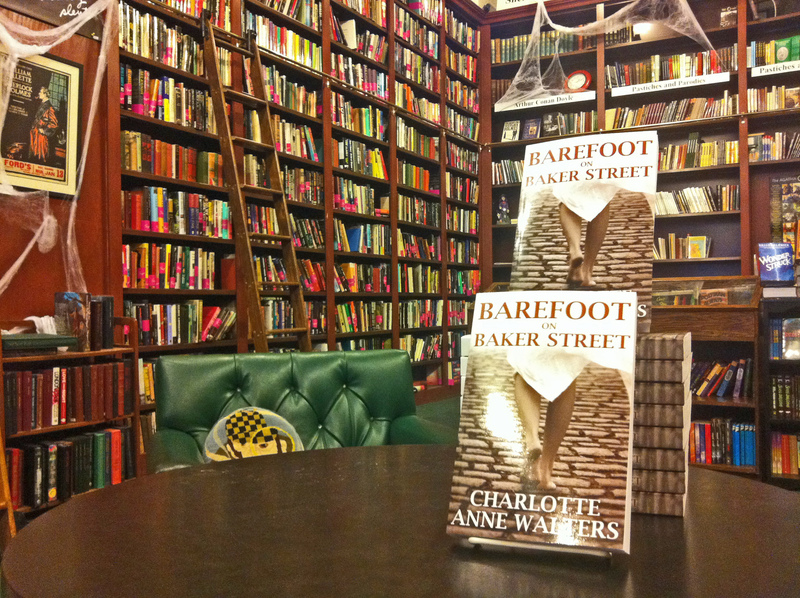 Thanks to Ian from the Mysterious Bookshop in New York who sent in this picture of Barefoot in the shop. 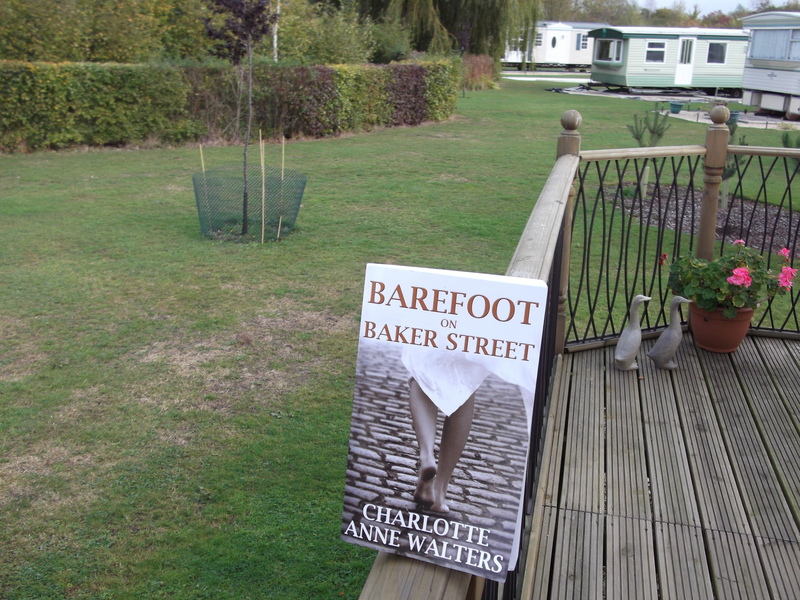 Gary sent in this picture of Barefoot ‘relaxing’ at his caravan in Bidford, near Evesham, in Worcestershire. 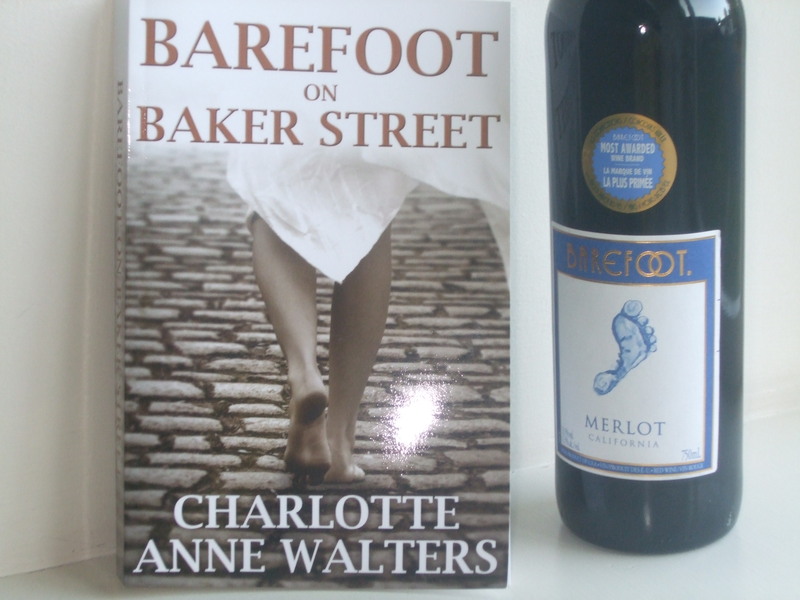 Barefoot on Baker Street meets Barefoot the Californian Merlot, spotted by younger son Charlie on the Sainsbury’s shelves. 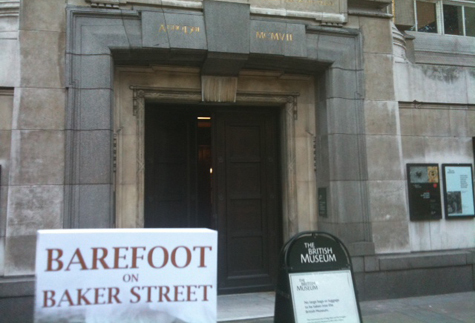 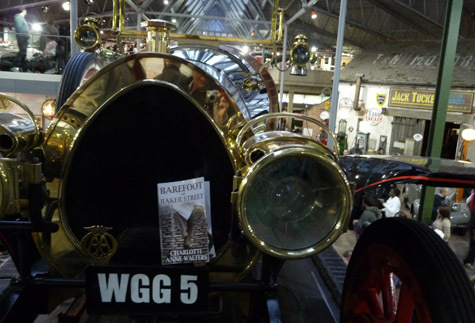 Many thanks to Timi from Hungary who sent in this picture of Barefoot at The British Museum which, of course, features in several Holmes stories. 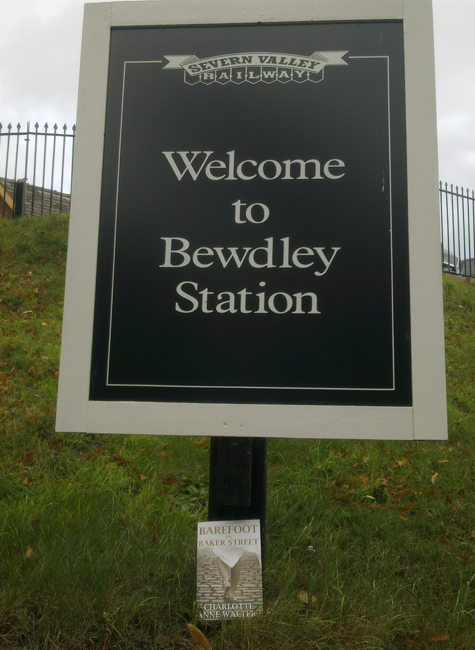 It’s Barefoot in Bewdley. 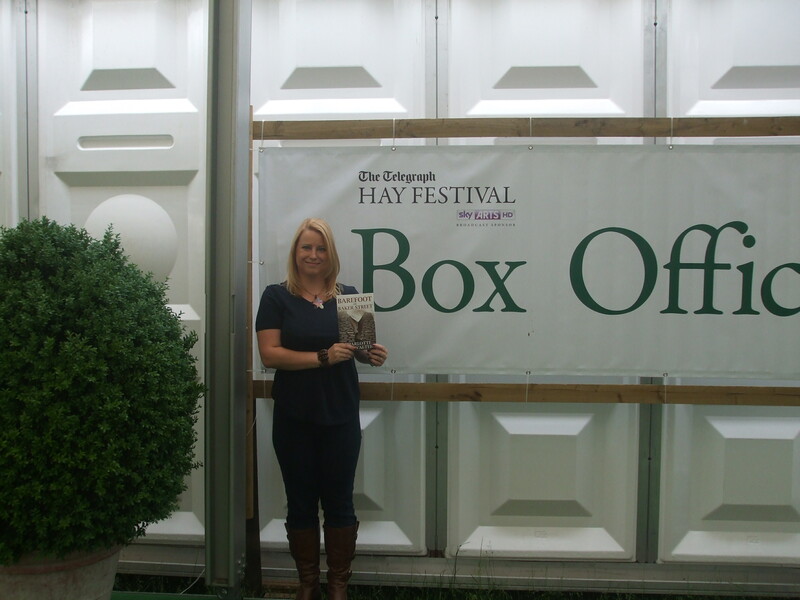 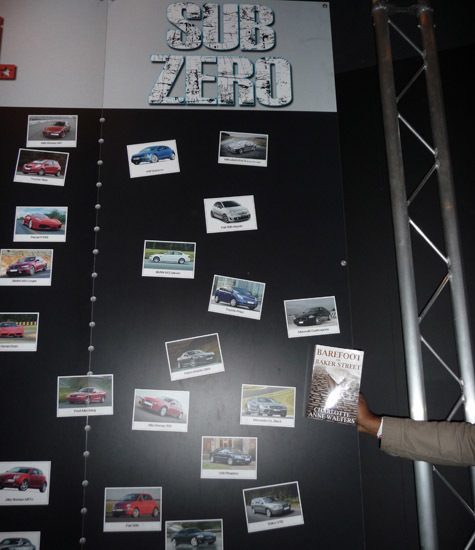 Thanks to Lisa and Stuart for sending in the picture. 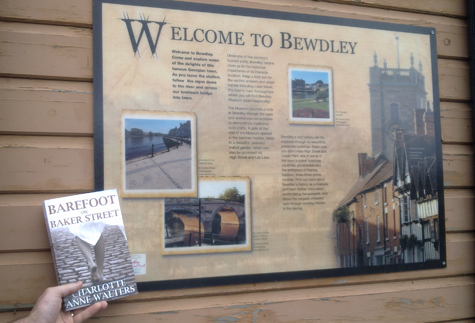 Barefoot in the picturesque Worcestershire town of Bewdley. 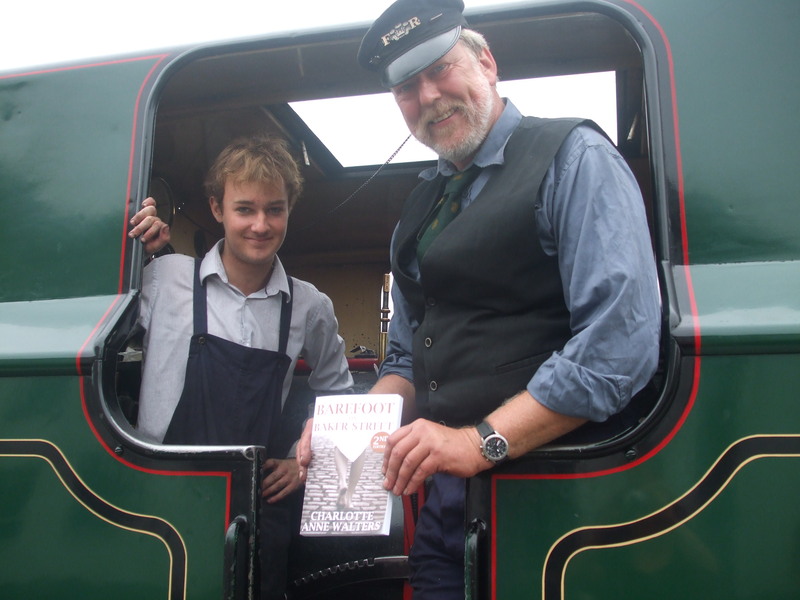 Thanks to Lisa and Stuart for sending in the picture. 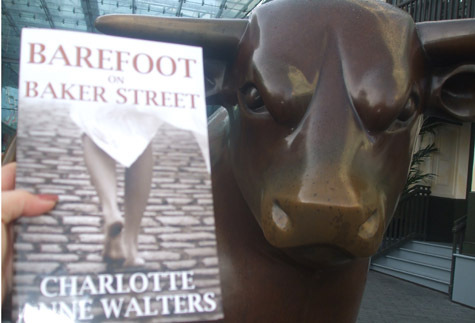 Barefoot meets the famous bull in Birmingham’s bullring. 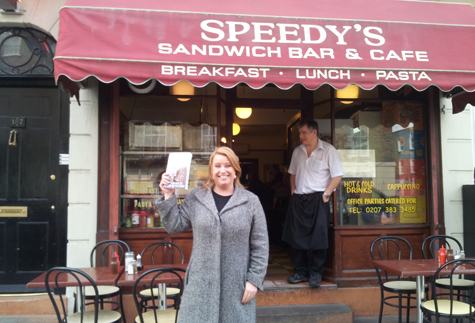 Thanks to Janice.